Why it is called �breadboard�? A breadboard is a device used as a construction base in developing an electronic circuit. Its main purpose is to create a variety of products using electricity by making electrical connections between components such as resistors, capacitors, inductors, LEDS, etc. Breadboard have been used by variety of people especially those students who are working on their prototypes or electronics projects. However, many have been wondering why it is called as “breadboard”. Originally it was literally a bread board, a piece of wood used for slicing bread. 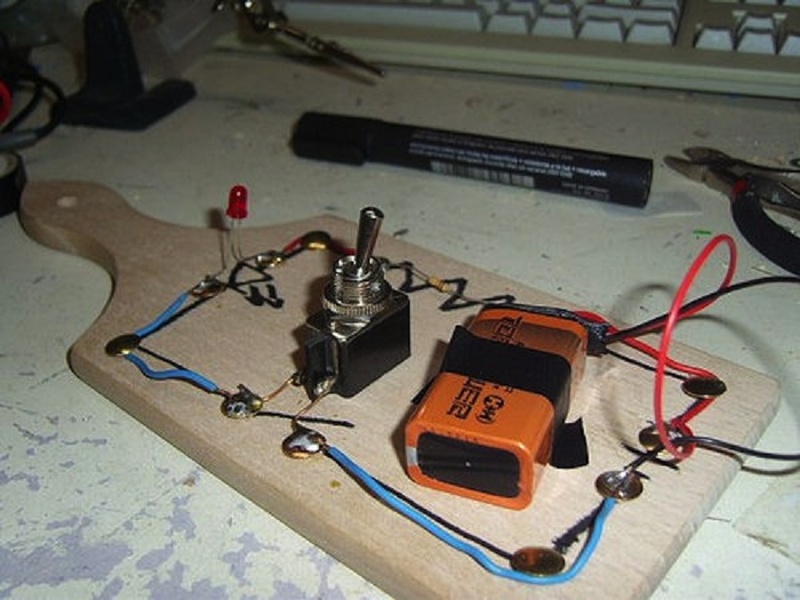 Many years ago, when electronics were big and bulky, people would grab a bread board, with nails or screws to support components, they start connecting wires onto the board to give themselves a platform on which to build their circuit. Since then, electronic components have gotten a lot smaller and come up with better ways to connect circuits until 1970s during when the solderless breadboard became available. Nowadays the term “breadboard” is still commonly used to refer to these. Want to know more about this awesome device? Follow this Link!